Each Toikka's glass works are unique. 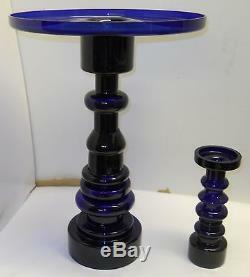 Vintage HUGE lighthouse with rannikas, majakka, deep blue, cobolt blue art vase. Design Oiva Toikka Nuutäjärvi 1964. Lighthouse high 19 (475 mm). 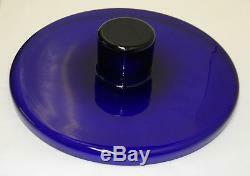 The item "Oiva Toikka Vintage HUGE Deep Blue Majakka Lighthouse Iittala Nuutajarvi Finland" is in sale since Saturday, June 10, 2017. This item is in the category "Pottery & Glass\Glass\Art Glass\Scandinavian\Other Scandinavian Art Glass". The seller is "karicenter" and is located in EU.